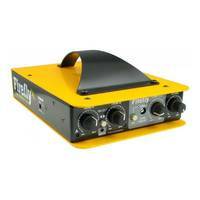 These unique device allows a band to record guitars and instruments in a single take, via DI boxes, then at a later time "re-amplify" the recorded signals back into guitar amplifiers and cabs to capture an isolated signal with the freedom of playing around with amps and settings. 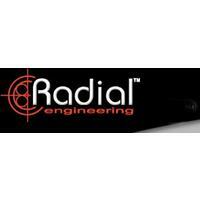 All the while still having that 'take'. 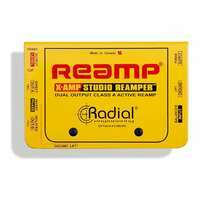 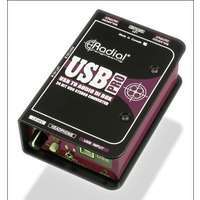 The Radial X-Amp is an active re-amper that allows a track from a multi-track recorder to be played through a guitar amplifier(s) and re-recorded. 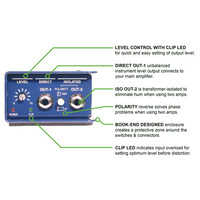 Players and engineers can experiment with different combinations of amps and effect pedals long after the original performance has been recorded to build the thickest and chunkiest guitar tracks. 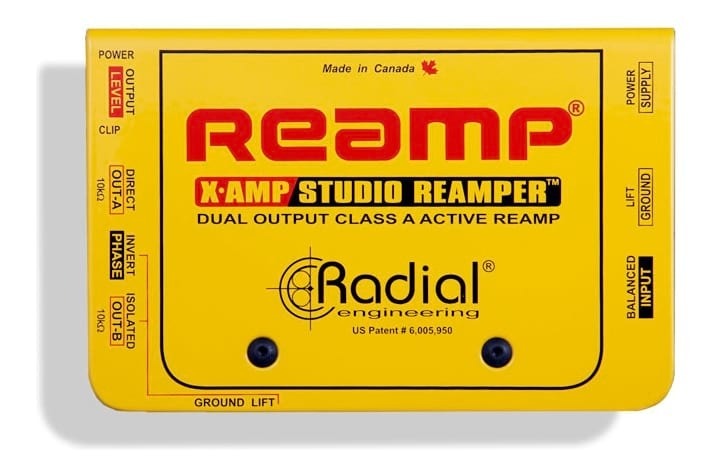 The X-Amp handles level and impedance conversion with an active Class-A circuit which reproduces all the tones and inflections of the original performance. 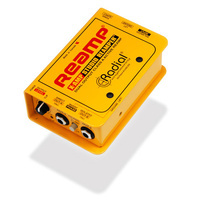 X-Amp drives guitar amps as if the player was still plugged into it! 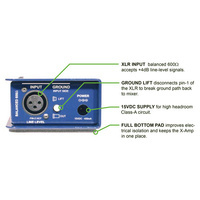 X-Amp accepts a balanced +4dB line-level signal and outputs two unbalanced instrument level signals that can connect to effect pedals and amps. 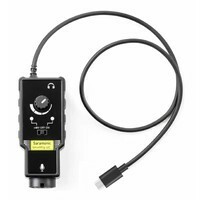 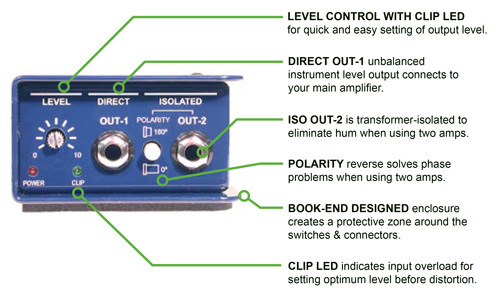 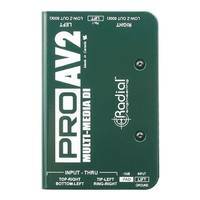 To prevent ground loops between the recorder and the amps, the input features a ground lift. 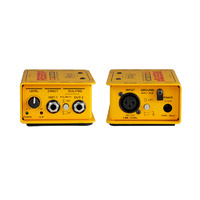 X-Amp allows simultaneous use of two amps. 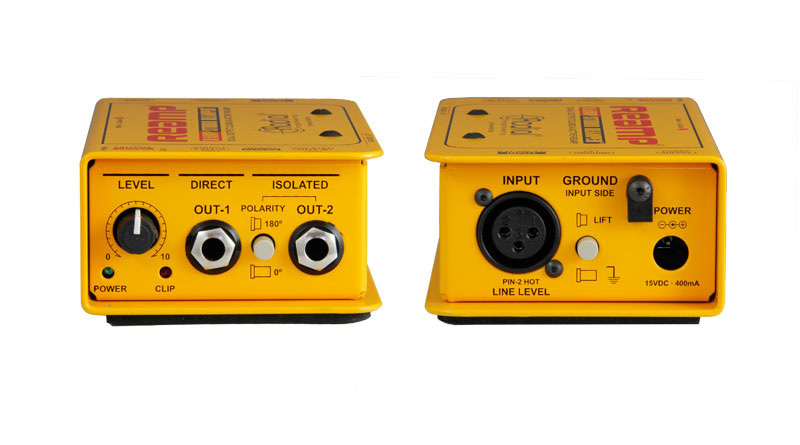 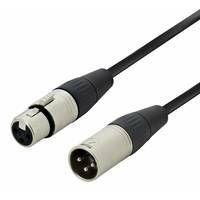 The second amp output is buffered to prevent signal loss, transformer-isolated to eliminate hum caused by ground loops and features a polarity reverse to align out-of-phase amps. 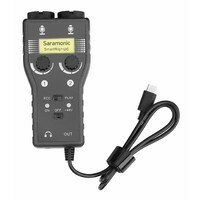 The output level control and clip LED aid in setting levels quickly and saves you many trips back and forth between the mixer and amps. 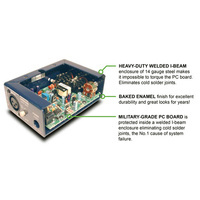 Finally, the X-Amp is packaged in an innovative and tough 14 gauge steel welded I-beam enclosure that makes it impossible to torque the PC board. 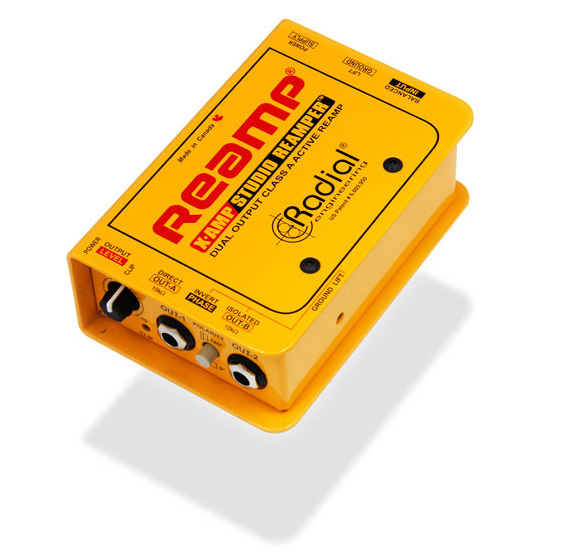 The Radial X-Amp… the active Reamp for professional recording engineers.